We understand that it can be extremely upsetting to witness the death of a baby first-hand and as professionals you may need support. Aberdeen Sands can also provide support and advice to professionals as well so please get in touch . Sands also produce a useful leaflet specifically for midwifes. You may also want to consider joining the Bereavement Care Network. As well as providing the opportunity to share good practice and procedures, exchange ideas, it offers informal support. It is a free online resource for professionals who provide, or have an interest in, bereavement care for parents whose baby dies. The quality of bereavement care that families receives has a major impact on their ability to cope in the future. Good quality care cannot remove the parents’ pain and grief, however experiences of poor care can make things much worse. Aberdeen Sands work in close partnership with health professionals and others throughout Grampian to ensure bereaved parents and families receive the best possible care. 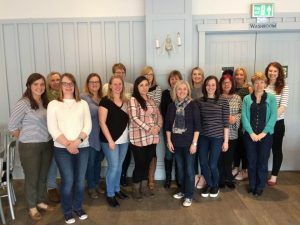 Aberdeen SANDS organise and fund one-day workshops locally for midwifes, neonatal nurses and health visitors which will enable participants to develop the knowledge, insight and skills to provide high quality care to bereaved parents. Our aim is for all staff in NHS Grampian who are responsible for caring for bereaved parents to have attended this training day. UK Sands has developed a number of e-learning modules to help Health Care Professionals better understand the issues surrounding Bereavement Care. 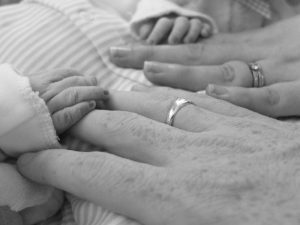 The Royal College of Midwives (RCM) e-learning course aims to develop awareness, knowledge and understanding of the importance of providing parent-led, sensitive and empathetic care for parents whose baby dies before, during or shortly after birth. Aberdeen SANDS also fund and organise Bereavement Photography Training days run by Gifts of Remembrance. The aim of these days is for the midwifes and neonatal nurses to gain skills in memory making and create sensitive and meaningful photographs for bereaved families. Gifts such as this can be enormously healing for bereaved parents – they are all they have to remember their child. Such mementos bring many parents a great deal of comfort. In the past Aberdeen SANDS has funded staff to attend various courses. If there is a course you are interested in and you require funding please get in contact with us to discuss further.